Light From A Dark Room, featuring photos by Marta Peluso, will be on display at the SLO Museum of Art through Jan. 27. 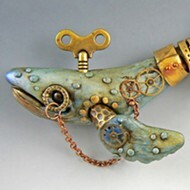 There will be an artist talk with Peluso on Jan. 13 at 2 p.m. that's free and open to the public. Visit sloma.org for more information. San Luis Obispo photographer Marta Peluso has always been interested in the big picture. And sometimes, it's hard to get everything into a single frame. "I've been doing these things, for lack of a better term, called multiples, images that are meant to be seen together as one piece, for the last 10 years," Peluso told New Times. "But I've never shown them all together." HERE AGAIN One wall of photographer Marta Peluso's exhibit, Light From A Dark Room, at the SLO Museum of Art features photos like Glance Back that capture different angles of Jack Kerouac Alley in San Francisco over the years. The people change, but the places stay remarkably timeless in black and white in Peluso's current exhibit, Light From A Dark Room, showing at the San Luis Obispo Museum of Art. After years of teaching and promoting the arts locally as a professor at Cal Poly and Cuesta College, the art gallery director at Cuesta, and the executive director at Arts Obispo, Peluso is now taking the time to really focus on her own craft. The artist has shot photos since college. A friend who was in the Army during the Vietnam War wrote to her and said he could get camera equipment cheaply over there. Peluso took him up on the offer. "I took a photography class and fell in love with it," she said. "I've been doing it ever since." 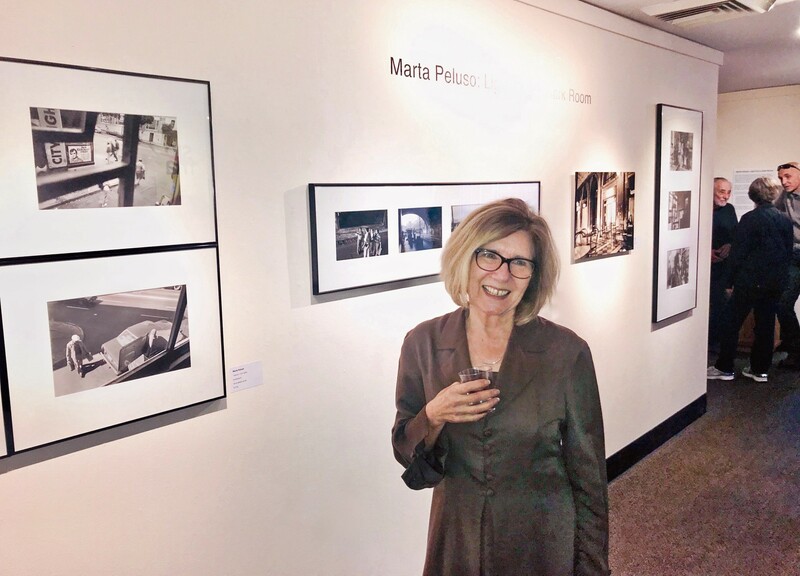 SLOCAL Photographer Marta Peluso has previously served as Cuesta College's art gallery director and as the executive director for Arts Obispo. Peluso's multiples, which are a highlight of Light From A Dark Room, don't simply show multiple angles of one location. Whether Peluso is shooting in San Francisco or Paris, each photo in a piece has an element in it that ties everything together, even if the photos were taken years apart. "It's the feeling of the photograph from one to the other," Peluso said. "It has to do with movement. 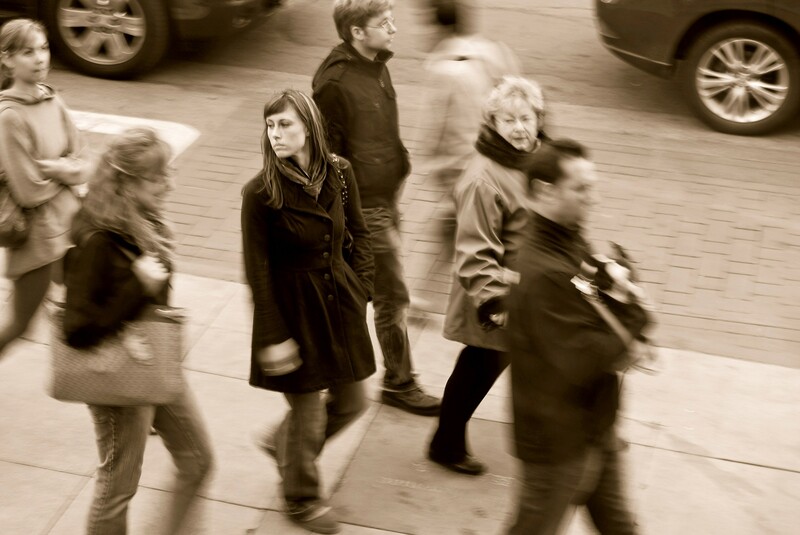 I've always liked to have a lot going on in my photographs so this just kind of compounds it." 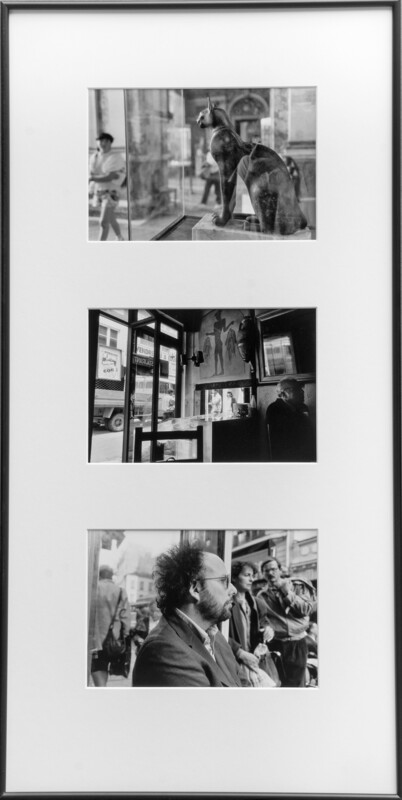 One of Peluso's multiples, Parisian Nexus, features three photos shot in Paris in black and white: one of a sculpture at the Louvre; one of an art piece in a café done in a similar style to the sculpture; and one of Peluso's husband staring out the window of the aforementioned cafe. 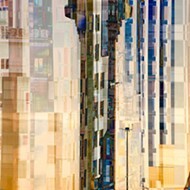 PARIS, THREE WAYS This multiple, Parisian Nexus, by Marta Peluso, is comprised of three different photos shot in Paris that work together as a single piece. 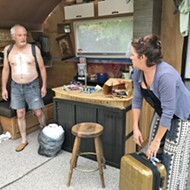 "Not only do you have to have a photograph that works in the forages of the frame, but then you have to have it working with the other images too," Peluso said. "It adds a level of complexity that is interesting to me." Peluso takes much of her inspiration from light, an element that's further highlighted by her choice to work mostly with black and white images. 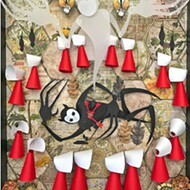 And as the show's name implies, Peluso still develops some of her pieces in a darkroom, working often from negatives. 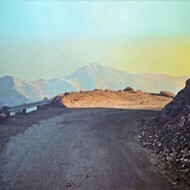 Even if viewers of her work haven't been to the places in her photos, Peluso hopes that a connection will nevertheless transpire. Arts writer Ryah Cooley is dreaming of faraway places. Contact her at rcooley@newtimesslo.com.